CLOSING COSTS ASSISTANCE AVAILABLE! Come enjoy all that Twenty Mile in Nocatee has to offer in this amazing open floor plan by David Weekly. 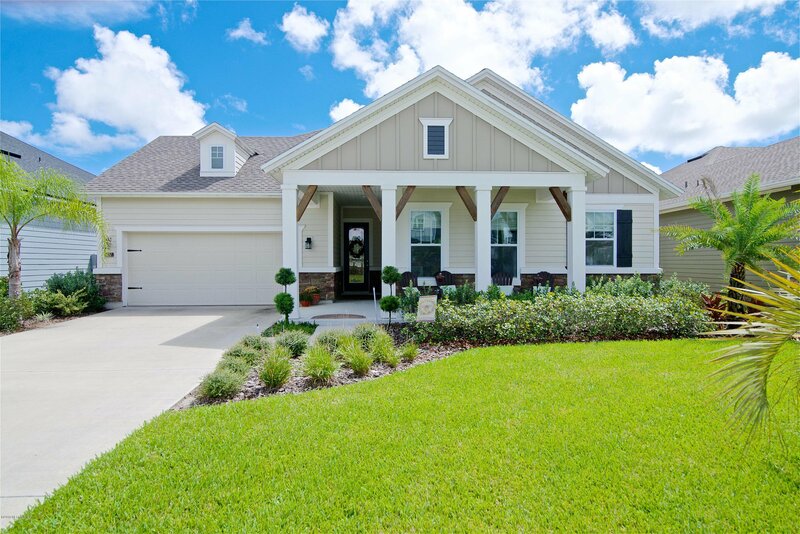 Built in 2016, owners have upgraded features you can't get for this price by a builder including shiplap, upgraded flooring, lighting & premium landscaping for a private backyard oasis. Light pours into the many windows giving this home a light & airy vibe. The kitchen features a huge 12-foot island perfect for entertaining & cooking. The sunlit Master features an ensuite bath with a 2 head super-shower & huge walk-in closet. The extra media room with French doors is perfect for that extra space you want. Walk across the street to The Post where there is a popular dog park & playground or take a quick jaunt to the pool at 20 Mile Park or Splash park. Bike or walk to the brand new state of the art Palm Valley Academy. 10 minute drive to the beach. This vacation lifestyle is waiting for you. Includes 3 months of professional yard service! A MUST SEE! Listing courtesy of BOSELLI CLARK REALTY LLC. Selling Office: RE/MAX UNLIMITED.